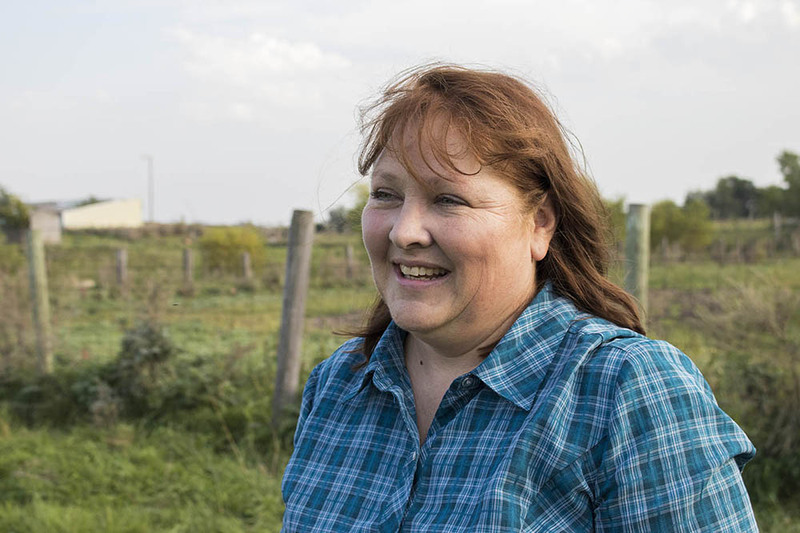 Kristi Mogen at home in Revillo, South Dakota. Kristi Mogen and her family left Wyoming after an oil field near their home threatened their health. Kristi assembles quilts on a longarm quilt machine. Her family donated a full-size barn quilt to the Twin Brooks Threshing Show in South Dakota. 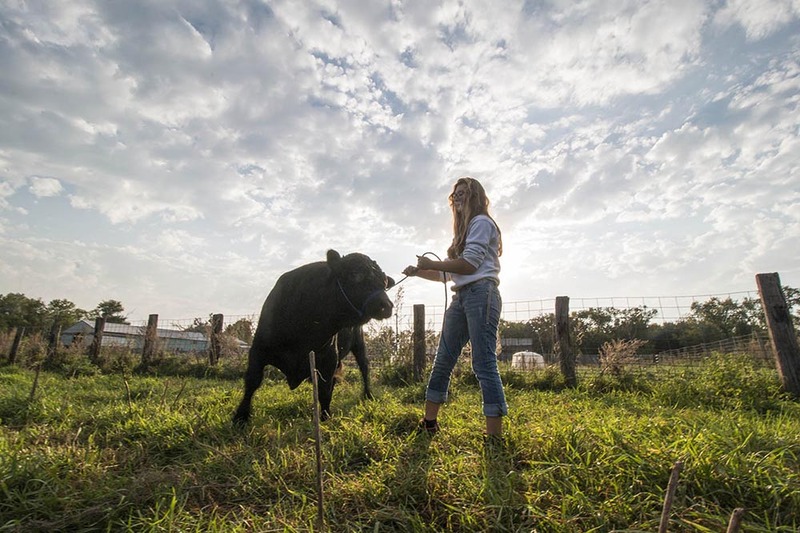 Kristi's youngest daughter, Kylie Mogen, stands with a steer. Kylie is the president of 4H at her high school and wants to be an environmental lawyer one day. 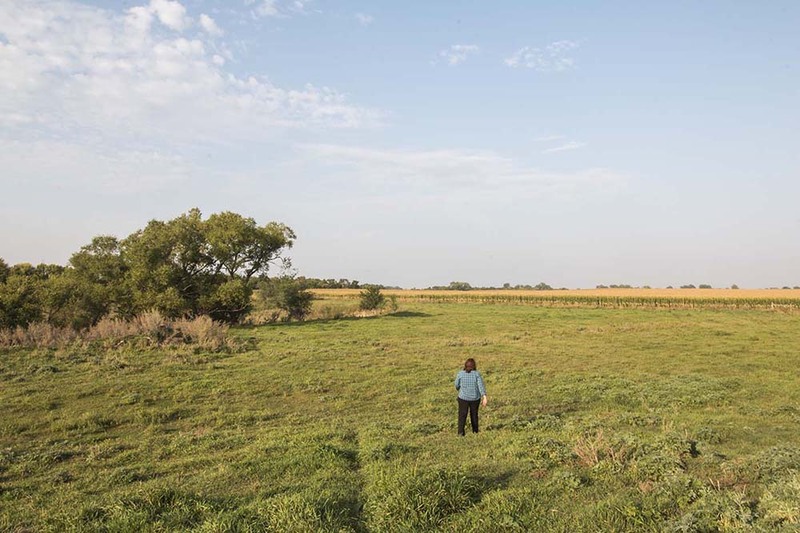 Shortly after finding refuge in Revillo, South Dakota, the Mogen family’s health and livelihood was threatened again, this time by a Concentrated Animal Feeding Operation (CAFO). In 2014, a Pipestone facility was proposed a few miles from the Mogen's new home. The community rallied and the CAFO was defeated. Grant County residents then organized to win a referendum that increased the CAFO setbacks to the strongest in the state of South Dakota. Kristi Mogen at her home in Revillo, South Dakota. "It’s not just my story, it’s my family’s story, it’s my community’s story," said Kristi. The out of state CAFO owners, still wanting to set up shop, proposed another operation, Berg Farms, which bought a 640-acre plot of land in Grant County in the fall of 2016. “They told the neighbors that they were putting in a swine facility and kicked the renters out. In March 2017 there was a public notice in the newspaper. We had less than 10 days to prepare a referendum, Berg Farms had 7 months to prepare. Berg Farms’ permit was for a 2,136 or 2,162 sow gestation facility with 5,184 piglets,” said Kristi. Kristi stands with her oldest daughter, Katie, who holds her dog Scooter. At first glance, CAFOs can seem like an attractive operation to rural areas – new industry stimulating the local economy, more agricultural production, potential employment opportunities. Kristi wants to debunk those myths. “I think it’s important that people understand that modern agriculture – as they’re calling it – is just a term that they’re hiding behind. These animals live in barns all their lives. They’re inside a facility, they never get to eat a blade of grass that is alive,” said Kristi. “The influence is so strong they keep coming at us with ‘you got to have agriculture.’ There’s a difference between agriculture and a pig in a building that never sees the light of day. There’s just a huge difference. That’s a factory, for cheap pork, without adding in the costs to society and the environment." 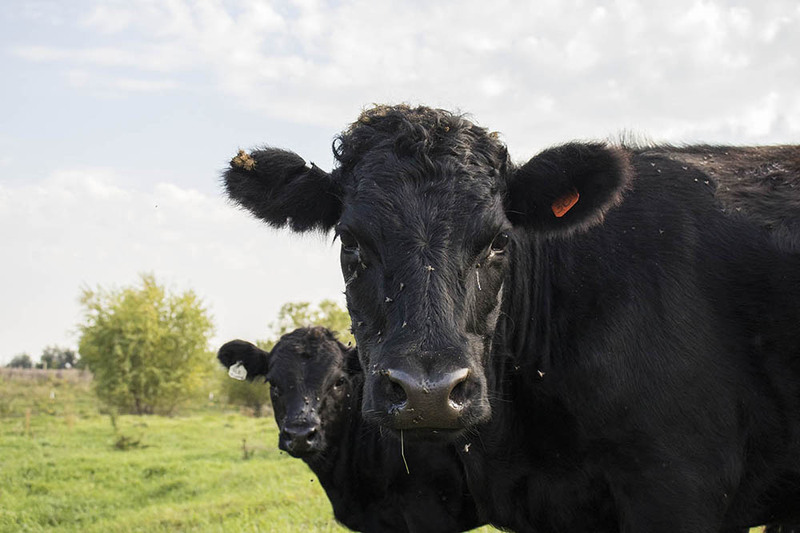 Over the past few years, corporate agribusiness has made more and more proposals for industrialized animal production in South Dakota. Kristi at her home in Revillo, South Dakota. Cattle at Kristi’s home pasture in Revillo, South Dakota. Berg Farms appealed the decision to reject its permit in circuit court, but Kristi and her neighbors are not deterred. The local board is defending its decision, and the group of neighbors is joining the board in court to defend its decision. They are waiting for a court date for the appeal. 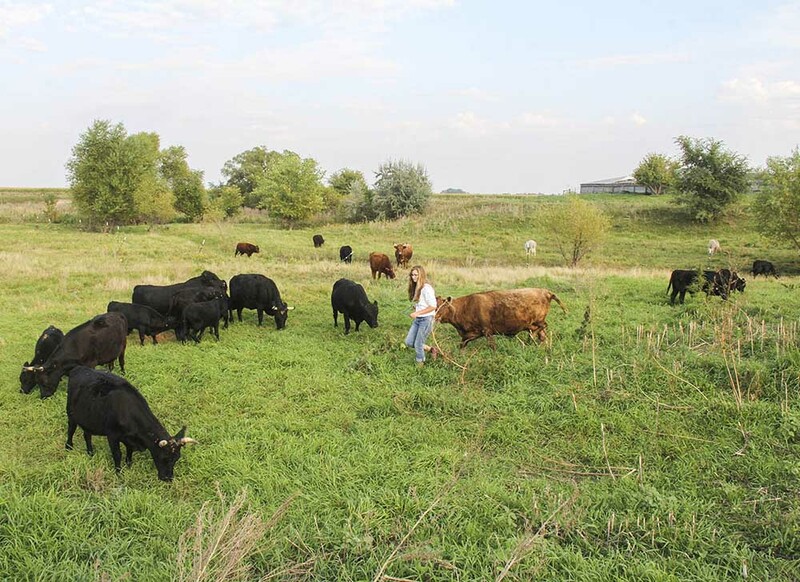 Kylie on pasture with the Mogen cattle.